INDIANAPOLIS, Thursday, April 11, 2019 – Officials from PepsiCo, Inc. (NASDAQ: PEP) and the Indianapolis Motor Speedway announced a multiyear partnership Thursday, April 11 in which Pepsi and MTN DEW become the Official Soda Beverages of IMS and Aquafina the Official Water of IMS starting with the 2019 season. The agreement with IMS continues PepsiCo’s long involvement with the track and with auto racing, dating back to 1903 when pioneer roadster Barney Oldfield served as a Pepsi spokesperson. PepsiCo previously has held pouring rights at IMS, and Mike Mosley famously qualified the No. 48 Pepsi Challenger on the front row for the 1981 Indianapolis 500. Products from PepsiCo are enjoyed by consumers more than 1 billion times a day in more than 200 countries and territories around the world. PepsiCo generated more than $64 billion in net revenue in 2018, driven by a complementary food and beverage portfolio that includes Frito-Lay, Gatorade, Pepsi-Cola, Quaker and Tropicana. PepsiCo’s product portfolio includes a wide range of enjoyable foods and beverages, including 22 brands that generate more than $1 billion each in estimated annual retail sales. Guiding PepsiCo is its vision to be the Global Leader in Convenient Foods and Beverages by Winning with Purpose. “Winning with Purpose” reflects PepsiCo’s ambition to win sustainably in the marketplace and embed purpose into all aspects of the business. For more information, visit www.pepsico.com. Chicago Blackhawks anthem singer Jim Cornelison will officially install the green flag atop the world-famous Indianapolis Motor Speedway Gate 1 at 2 p.m. Friday, March 8. 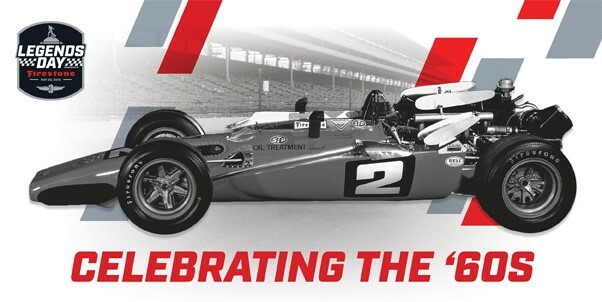 The annual ceremony marks the start of the 2019 NTT IndyCar Series season and is an important milestone in the countdown to the 103rd Indianapolis 500 presented by Gainbridge…. For more information on the IMS Museum, please visit www.indyracingmuseum.org, contact the Museum at (317) 492-6784, or find us on Facebook, Twitter and Instagram. About Shell: Shell Oil Company (“Shell”) is an affiliate of Royal Dutch Shell plc, a global group of energy and petrochemical companies with operations in more than 70 countries. In the U.S., Shell operates in 50 states and employs more than 20,000 people working to help tackle the challenges of the new energy future. The Shell downstream organization manages a portfolio of top-quality brands, including the No. 1 selling premium gasoline, Shell V-Power® NiTRO+ Premium Gasoline, No. 1 selling gasoline, Shell Nitrogen Enriched Gasolines.